The Universal Periodic Review of Cambodia. The Beginning of a Second Cycle of Progress in the Country? 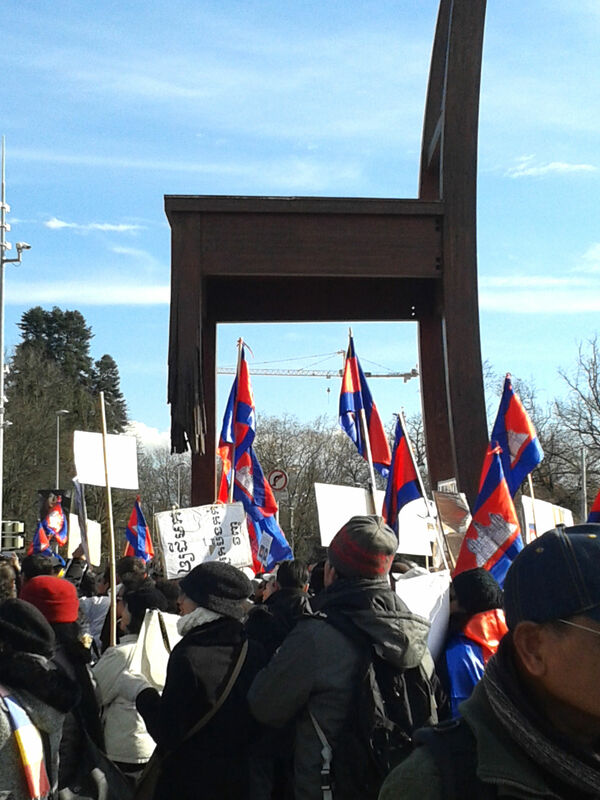 Cambodian nationals gather outside the Palais des Nations ahead of the upcoming review. 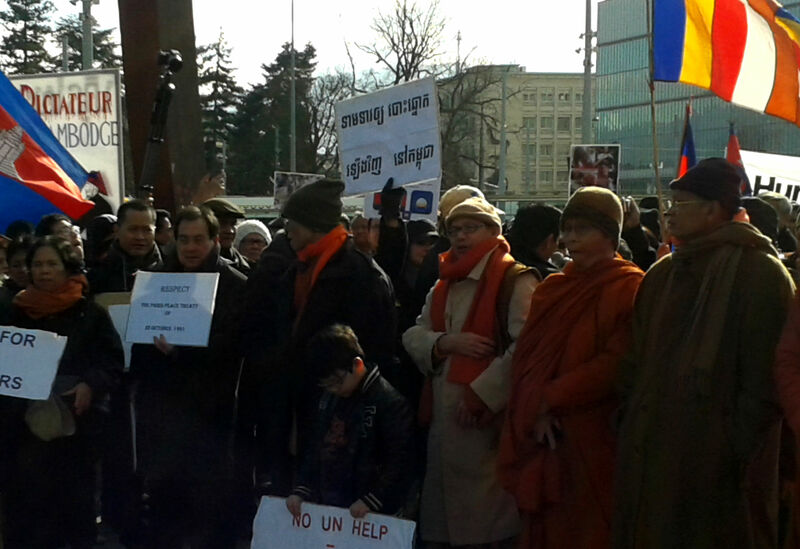 On January 28, outside the Palais des Nations in Geneva, gathering Cambodian nationals demanded for the respect of human rights in their country, inside the Palais, before the United Nations Human Rights Council (UN HRC), the representatives of the Royal Government of Cambodia presented the progress achieved in the field of human rights to 76 fellow diplomats, civil society organizations, and other observers. 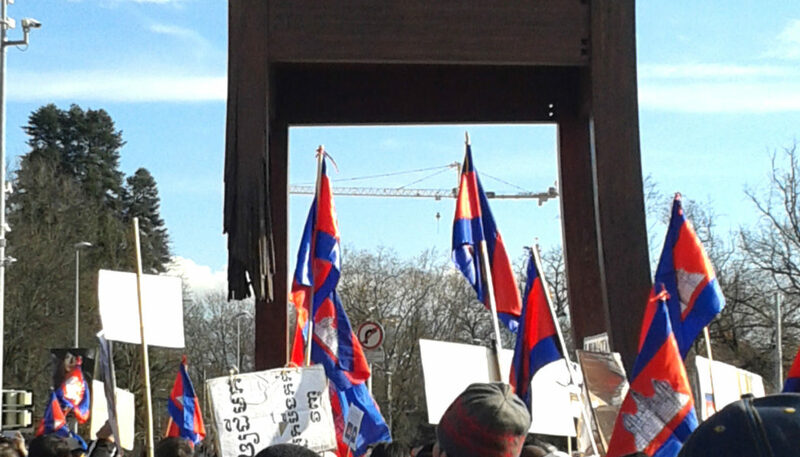 Cambodian flags in front of the ‘Broken Chair’, a sculpture erected by Handicap International, outside the entrance to the Palais des Nations. H.E. 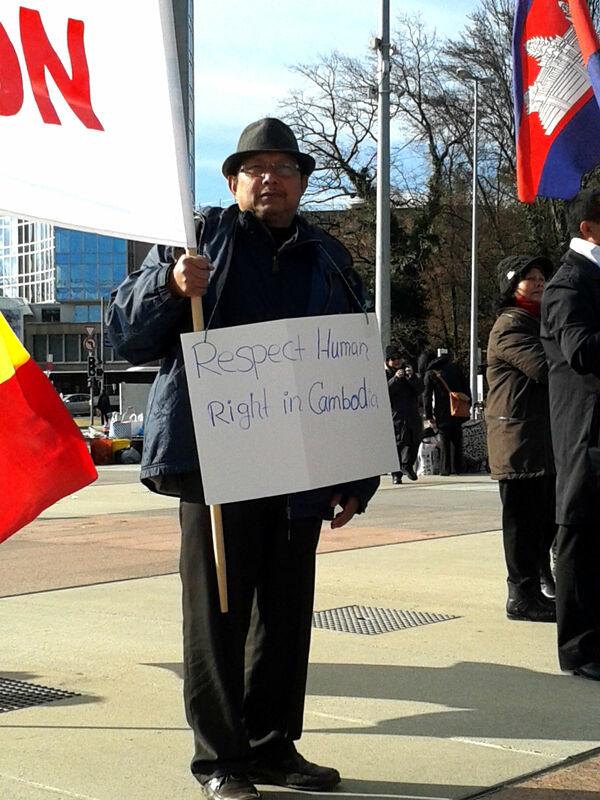 Mr. Mak Sambath, Vice Chair of the National Human Rights Committee, headed the Cambodian delegation in Geneva and introduced the national report drafted under the auspices of the Universal Periodic Review (UPR). 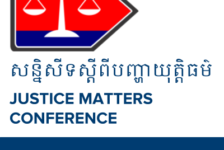 The report documented the progress Cambodia has made in the areas of lands rights, rule of law, torture, the conditions of prisons and rehabilitation centers, socio-economic rights, women rights, and child rights, since the recommendations from the first review were issued in 2009. The UPR is a process created within the UN HRC which involves a review of the human rights records of all 197 UN Member States. It provides the opportunity for each State to declare the actions taken to improve the human rights situations in their respective countries, before the international community. At the end of the review, each State receives recommendations from their fellow UN Member States on how it can improve in its adherence to human rights. The review process for all UN Member States lasts approximately 4 years, with the first cycle of review beginning in 2008. The first cycle of review has already completed and the second one just started. Cambodia presented its first report in December 2009 and it accepted all 91 recommendations given by fellow States, spanning from land rights to child rights. On January 28 2014, Cambodia presented on its achievements so far in implementing these recommendations. Destination Justice attending the review session in front of the UN HCR, witnessed that Cambodia was indeed commended for the progress achieved since 2009, notably with respect to the ratification of a number of international instruments, the reforms in the legal and judicial systems, and in the field of women rights. Nonetheless, the other UN Member States made new recommendations to the Royal Government and raised new and old concerns. The recent attacks on activists, union members and journalists and the ban on peaceful assembly were denounced several times during the interactive dialogue, by amongst others, the United Kingdom, the United States of America, and Spain. 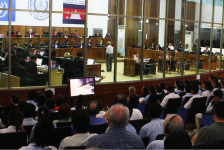 The issues related to the independence and corruption of the judiciary, the restrictions on freedom of expression and on freedom of the media, the adoption of the Law on Organizations and Associations and the Cyber Law, and the contested recent elections are some of the others concerns presented to the Cambodian delegation and for which recommendations have been given. Deep concerns have also been raised on the Government’s failure to adequately protect women and children from human trafficking. The Cambodian delegates acknowledged that a lot has still to be done in the country, but replied to some of the matters highlighted with quite broad and elusive statements. The Ministry of Interior, for instance, justified the ban on peaceful assembly with the necessity to protect the public good. Cambodia will announce shortly if it will accept the fresh recommendations and will therefore continue the dialogue with the international community in an attempt to improve the situation of human rights in the country. 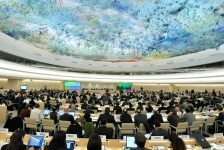 The Review of Cambodia can be seen at http://webtv.un.org/meetings-events/human-rights-council/watch/cambodia-review-18th-session-of-universal-periodic-review/3119784521001 . More information and relevant document can be found on the Office of the High Commissioner of Human Rights (OHCHR) website at http://www.ohchr.org/EN/HRBodies/UPR/Pages/KHSession18.aspx. Silvia is an international lawyer specialising in domestic and international criminal law, rule of law, access to justice and human rights. She is currently based in Geneva where she serves as Destination Justice Europe Liaison.